Now I’m a bit of a Star Trek fan, more TNG, ToS-Movies, and Enterprise than Voyager and DS9, though I have to admit watching them years later, they grow on me more and more. Nevertheless, one of the things I often found incredulous was the way that main characters … ehem Picard, one of the most recognizable figures in the Galaxy … would go on covert intelligence missions. I mean, come-on, the Romulans even stole his DNA to clone and replace him. The Federation has its own intelligence service, but they often came across as the bad guys … remember Section 31 and Admiral Pressman, and they were never the center of an episode. As I was prepping to GM a Star Trek Adventures‘ campaign, I quickly decided that I wanted it to focus on Starfleet Intelligence, but done right and not shoehorn characters into the setting. 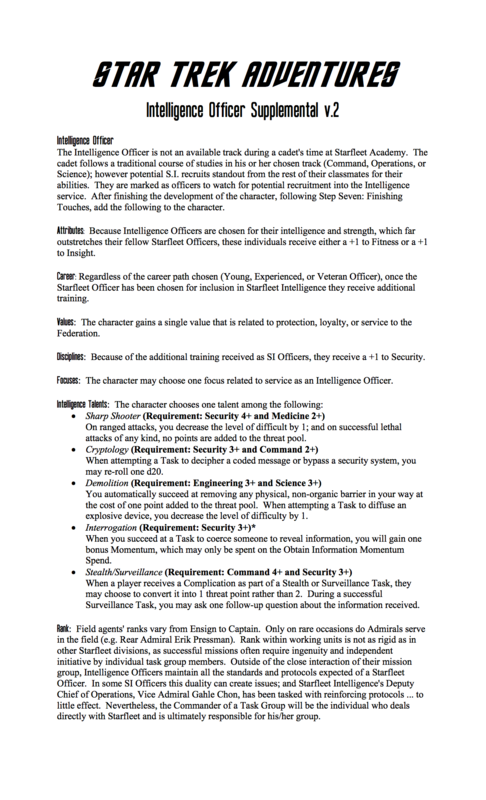 But the out-of-the-box system does not allow for an intelligence character creation, though it does have a generic Section 31 NPC. So…I had to figure out a way to make it so. 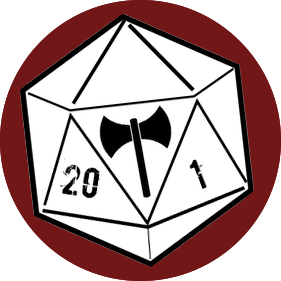 I created a supplemental for character creation and ran it through a few missions. As a result of those games, I have updated it to the new and improve version you see below. I am greatly interested in hearing from others so that I can keep perfecting it until it’s just right. I can’t be the only fan of Starfleet Intelligence, or am I? If you want to see more of what I’m doing with Starfleet Intelligence, make sure you check out my page devoted to Star Trek Adventures.